The main focus of EqualTeam is the development and implementation of the web-oriented systems for key business processes elaboration, increase of effeciency and productivity between employees and clients. Current situation on the market defines new, contemporary and logical approach to business — to manage effectively the most valuable asset of the company — its time. Our teams consists of certified specialist1s with more than 10 years of experience. We work with PHP, PHP Frameworks, MySQL, Oracle, MS SQL Server, ElasticSearch, Redis, NodeJS and other back-end technologies. Our experts have proven experience and relevant competence; having learnt new approaches, we are ready to provide you with the quality, timely and complex testing of software products in fixed period of time. EqualTeam is Ukrainian outsourcing and production company, with the development centers in Vinnitsa. Having started our activity in 2010 from the small team of developers, we grew up into a company, trusted clients from all over the world. During this time we have implemented projects in various technological areas and industries. Our team creates websites, application software and data systems, adjusts and adapts ready-made IT solutions. We started from outsorce development in direction of web-oriented information systems. Our major technologies are PHP, MySQL, NodeJS, Redis, ElasticSearch, AngularJS, Bootstrap. We created various sites and web-portals for different purposes from single-page application to complex systems for managing business process. Today we concentrate attention to elearning web-portals and help to develop new system of staff managing that names Collaborator. COMFY - innovative network appliance stores, the second largest in Ukraine, which has 60 modern stores in 30 cities of Ukraine and continues to develop. track the results of their study. MTI - is a company that has been operating in Ukraine and is involved in all phases of the IT life cycle of products, ranging from its delivery until the end of its use in both corporate and private clients. 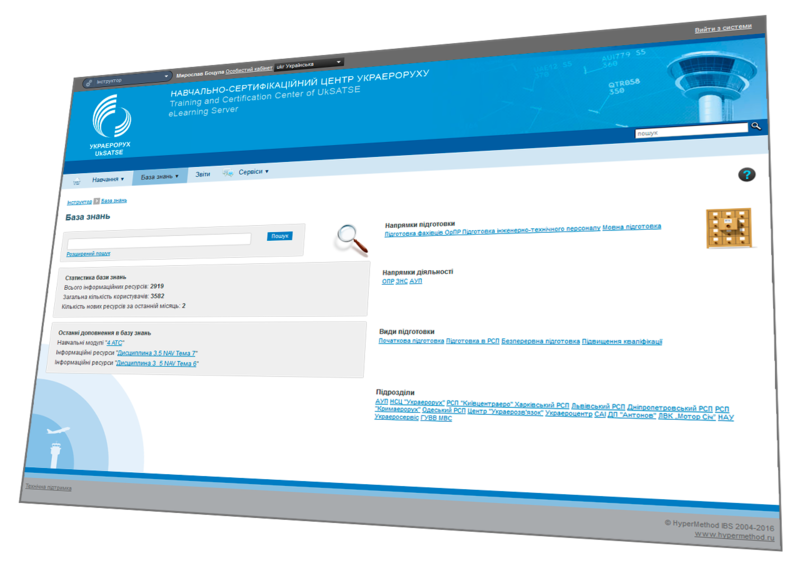 We introduced and adapted LMS eLearning Server 4G (by "HyperMetod IBS») in 2012. 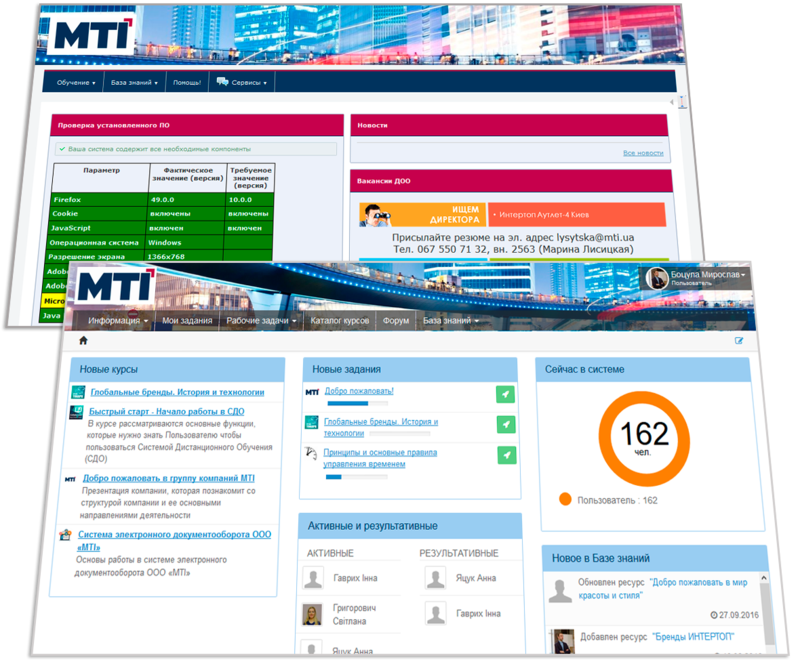 Now we have done modernization and customization MTI web portal to eLearning platform Collaborator (by "Davintoo Ukraine"). The main objective systems - automated determination of the cost of water services for each user in a mode close to real time. We made database and user interface to manage information directories, input water consumption, the system automatically calculate the cost of water and determine the debtor. ProZorro – public e-procurement system that has replaced old paper tenders. infobox.prozorro.org a resource that was created by a team ProZorro, to help you as soon as possible to enter the work in the electronic procurement and understand all its advantages for you. Create your own web-portal for staff elearning. 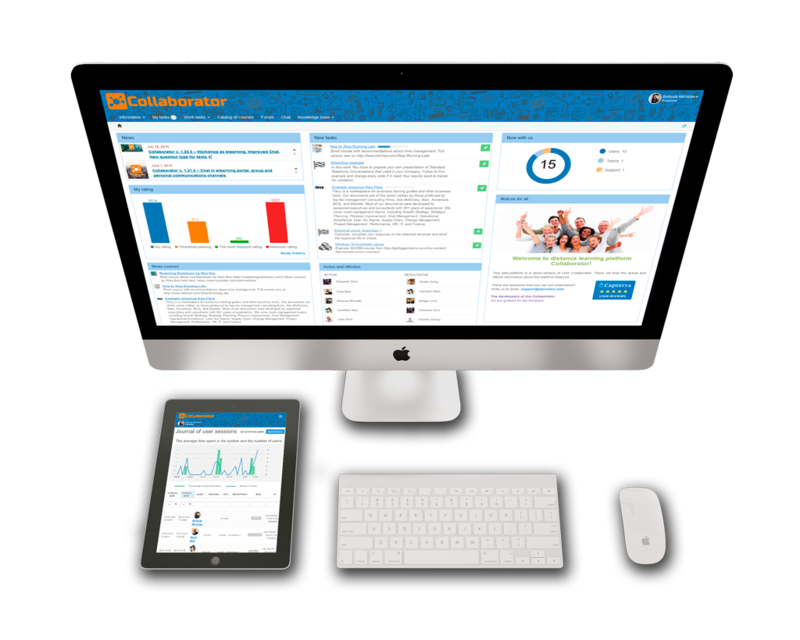 Collaborator is a fast and modern LMS with many tools for collaboration and communication. The basic principle of its work - learning through setting tasks. LMS "Collaborator" is the main direction of our activities now. We automate staff learning processes with help LMS "Collaborator"
We strive to build long-term, honest and friendly relationships with our clients and partners, providing them with the guarantee of high quality services and professionalism at every turn. © 2018 Copyrights by EqualTeam - All rights reserved.